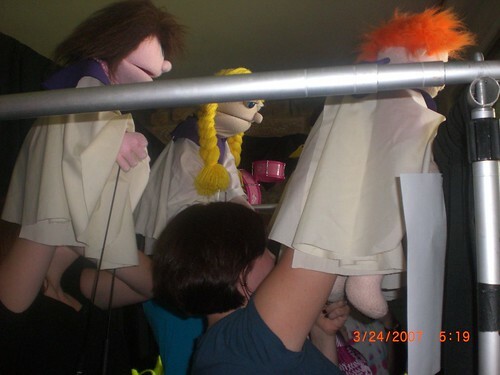 M&M Puppeteers | God is in the details! « OK, I’ll do better! Once upon a time, there was a team called the M&M Puppeteers. We traveled, we ministered, we competed at Puppet Festival competitions, we served in Children’s Church, local community outreach centers and even on missions trips to foreign countries. And we started all of that 20 YEARS AGO! 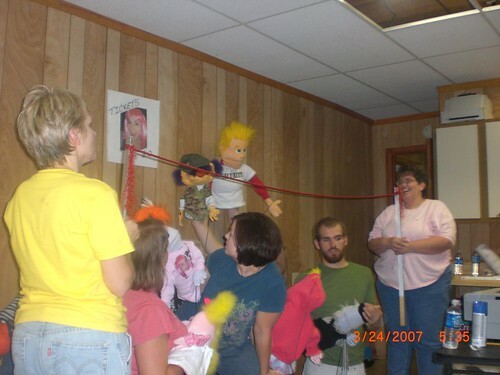 This season, we decided to put together an M&M Puppeteer 20 Year Anniversary Reunion event that turned out to be just the best! As you can see, you must nearly be a contortionist to perform as a good puppeteer. 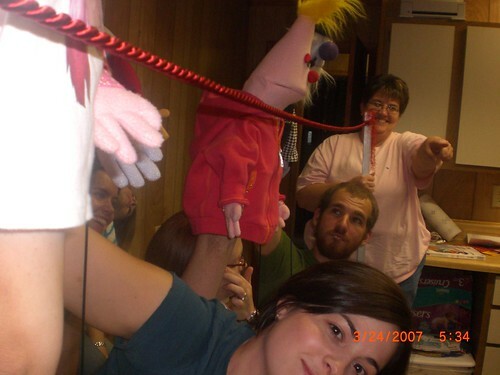 In these photos, we were videotaping a scene for a segment between two of our puppet songs.